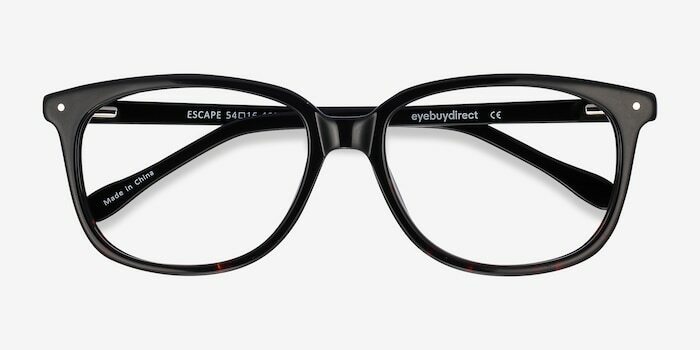 Escape takes you out from the ordinary with a well thought and sublime look. 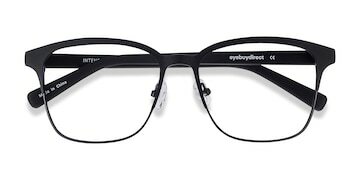 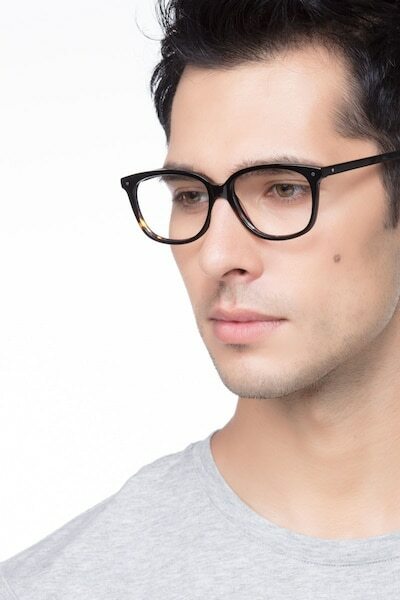 A well rounded and designed shape with squared lenses. 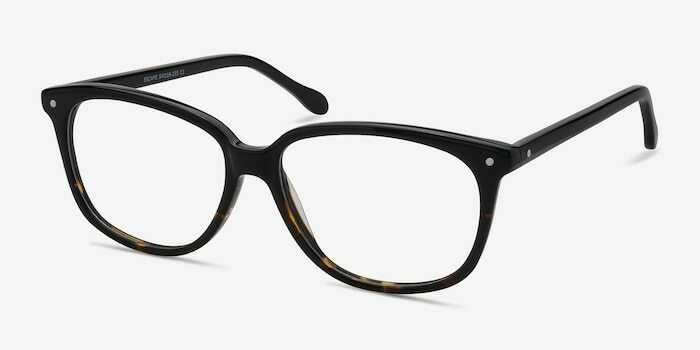 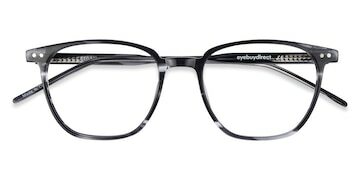 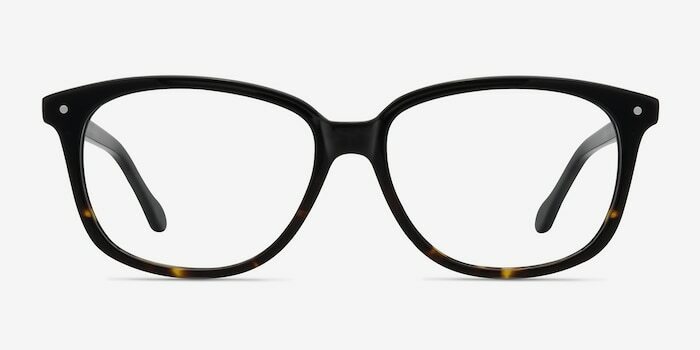 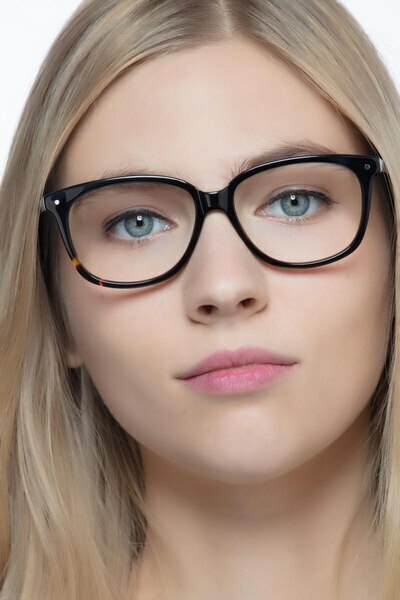 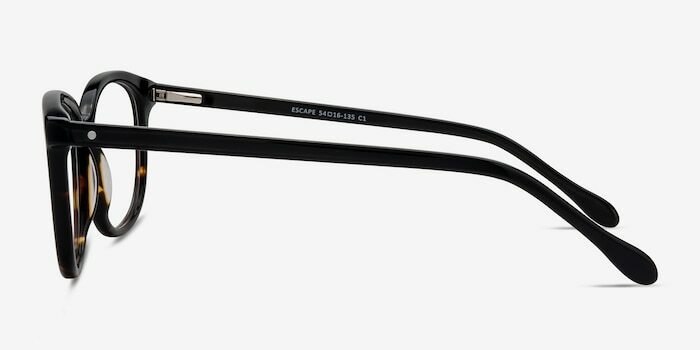 The frame has a glossy black acetate finish with subtle tortoise highlights towards the bottom part. 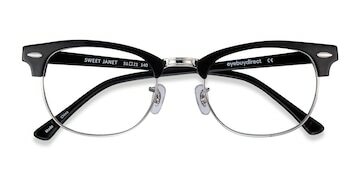 Spring hinges and subtle silver stud accents on the hinges are the details not to be missed.